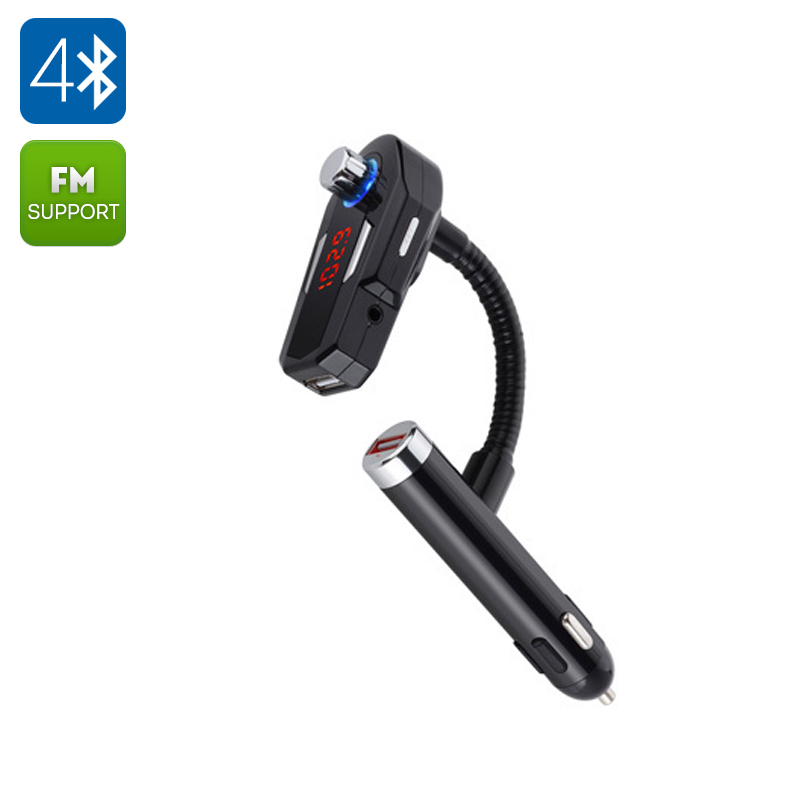 Successfully Added Car FM Bluetooth Transmitter - Bluetooth 4.0, HSP, HFP A2DP, AVRCP, 2 USB Ports, Aux In to your Shopping Cart. This FM Bluetooth transmitter is the easiest way to get Bluetooth in your car without having to go through the expense and time of installing a new head unit. If your current car stereo doesn't support Bluetooth or have an Aux in port then don't fret, by using this Bluetooth transmitter you can quickly set up Bluetooth between you Smartphone and car stereo and stream music directly to your vehicle as well as enjoy hands free calls. The FM transmitter plugs directly into your car charger / cigarette lighter socket and by tuning your car stereo and this transmitter to the same FM frequency they can communicate wirelessly, all that remains is for you to enable Bluetooth on you phone or tablet and you can start streaming music with minimal fuss and effort. You can even charge your phone and one other device at the same time as the Bluetooth FM transmitter has two USB ports. This Bluetooth FM transmitter comes with a 12 months warranty, brought to you by the leader in electronic devices as well as Bluetooth gadgets..